Katsuyuki and Kaori brave the weather for rainy day photos at Ala Moana Beach. Appreciate their upbeat and unfazed positive attitude. 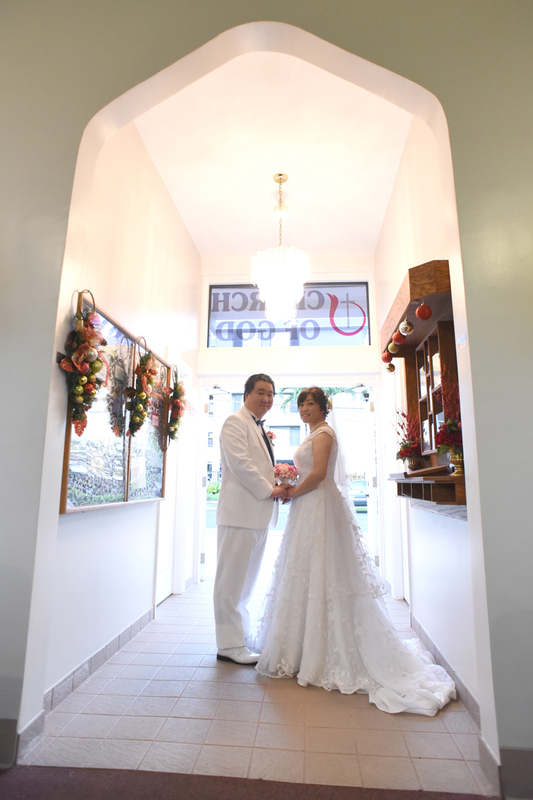 Grateful we were able to shoot indoor photos too. 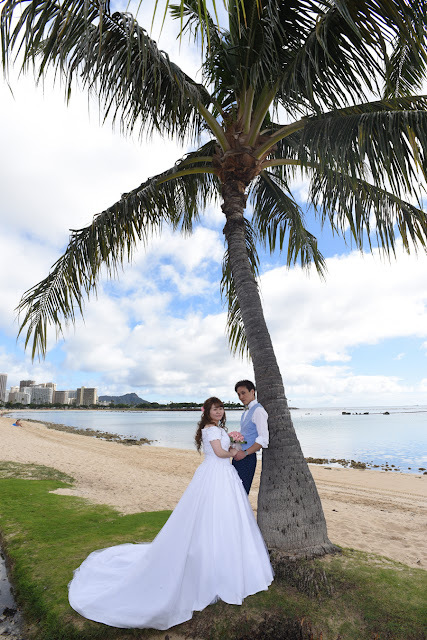 Good to have two photo shooting locations. 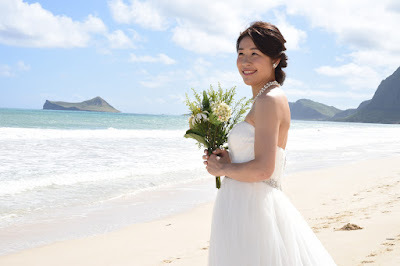 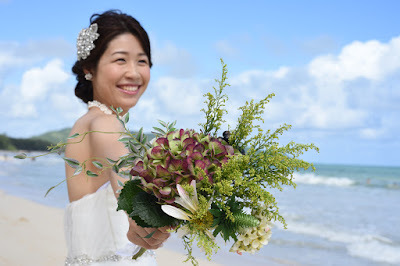 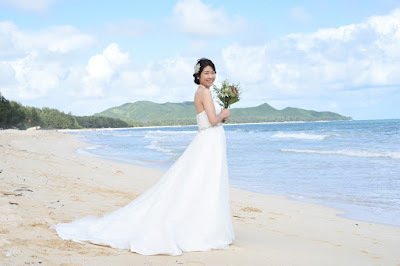 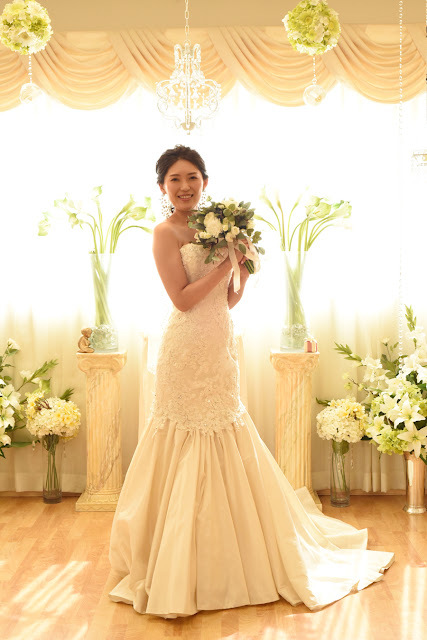 Chikako shows off her wedding dress at the beach on Oahu. 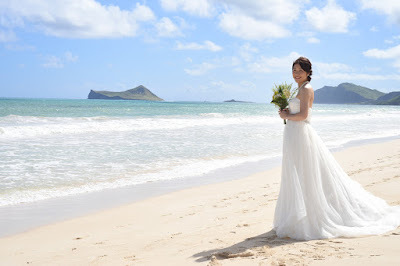 What kind of dress will you be wearing for your Honolulu beach wedding? 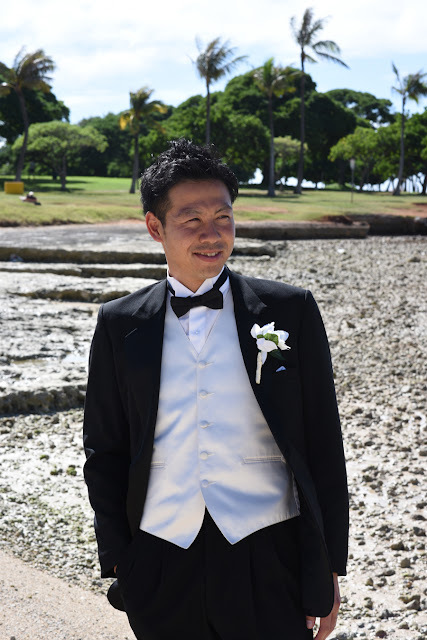 Another handsome Groom to add to our photo collection. He makes a fine tuxedo model. 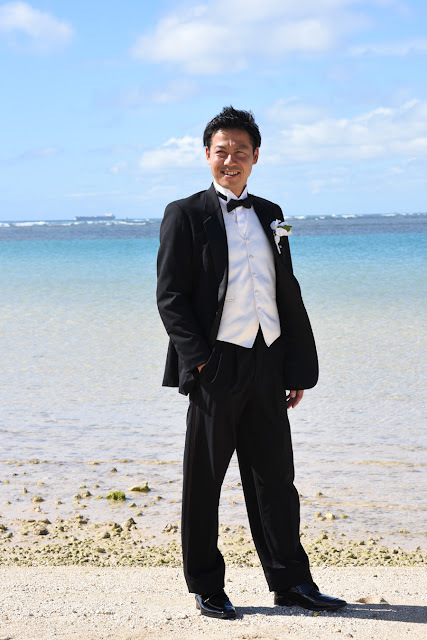 Full-body shot is probably the best of the bunch! Send Photographer Robert a text at 808-772-1140. Let him know which photo is your favorite. 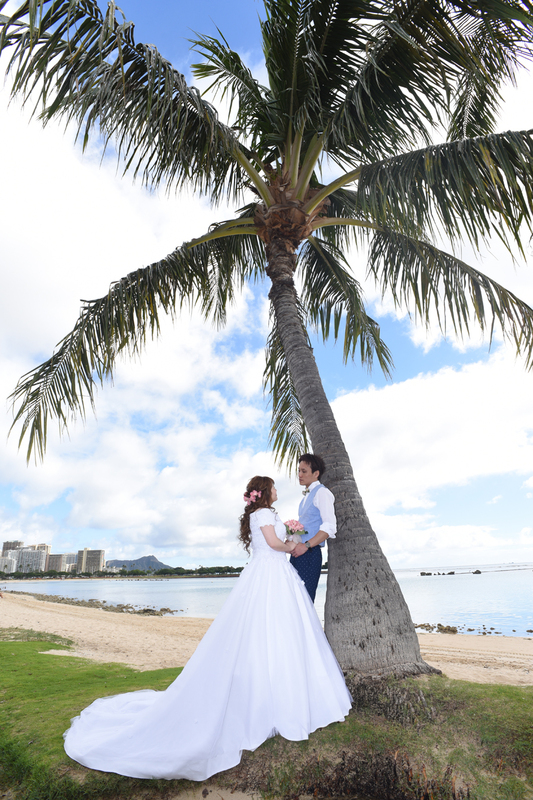 One of my favorite spots in Honolulu for tropical Hawaii wedding photos, located across from the tennis courts at Ala Moana Park. Lovely Japanese Bride at the beach in Waimanalo. 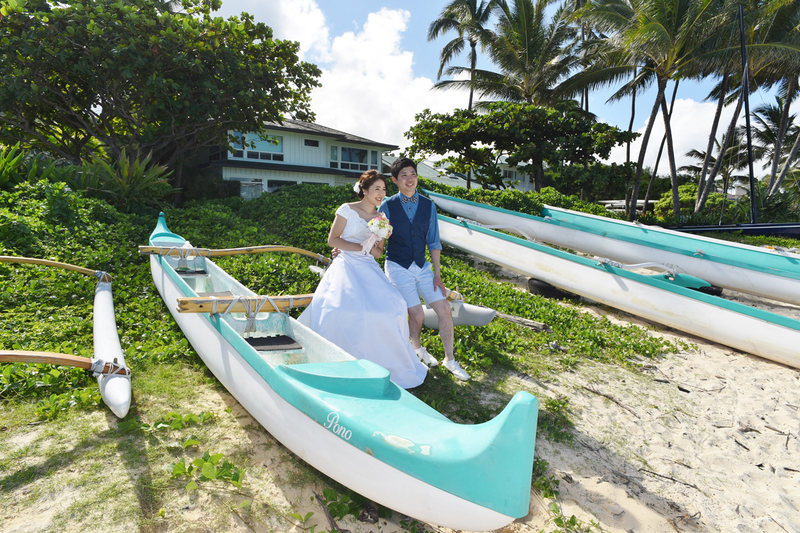 This happens pretty often, and good for our Bridal photo gallery. Very grateful indeed. 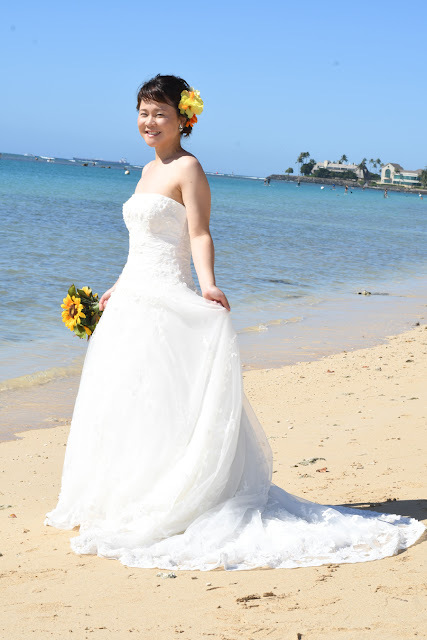 Lovely Japanese Bride at Ala Moana Beach. 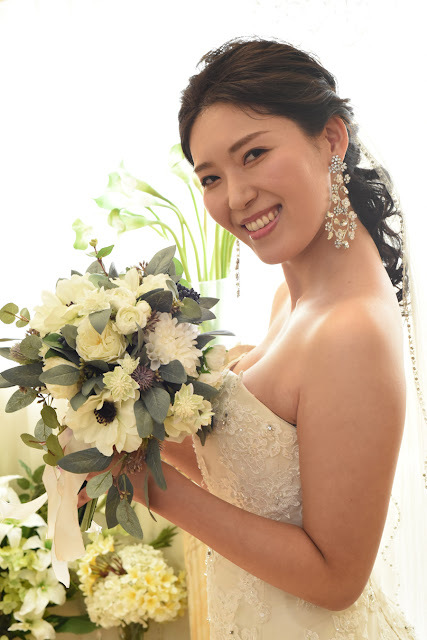 Will she become our December BRIDE OF THE MONTH? 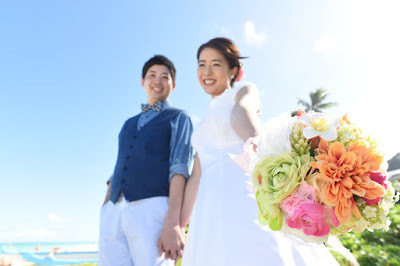 Limousine service is our recommended transportation for your wedding in Honolulu. 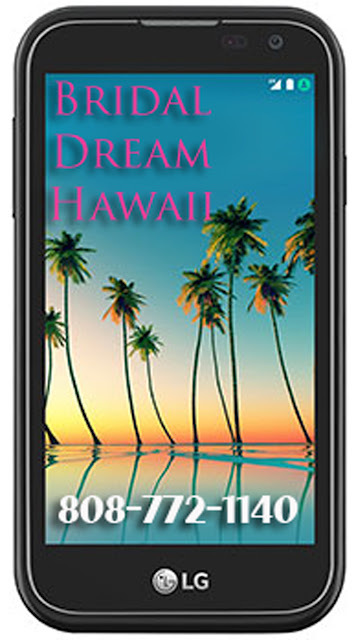 Waikiki to Kahala Beach takes about 15 minutes. 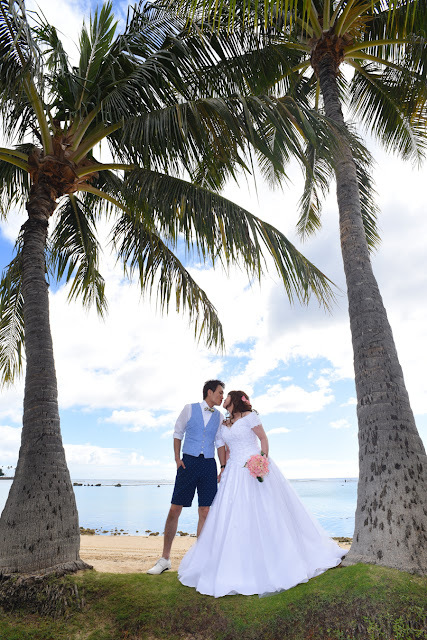 Arrive in style! We're just a text or cell phone call away. 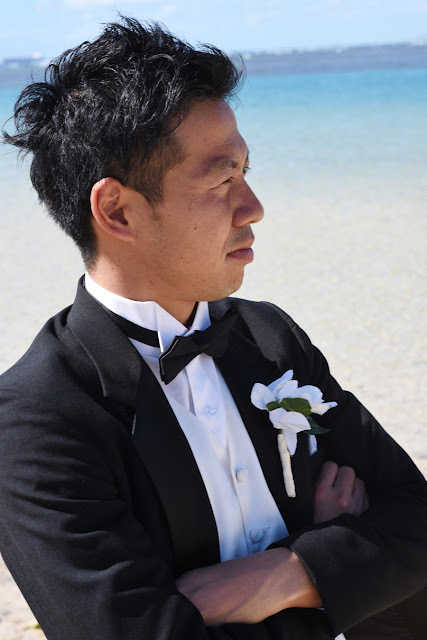 Email is fine too. Contact us at Bridal Dream Hawaii to set up your Oahu Beach Wedding, Vow Renewal, or Honeymoon photography. 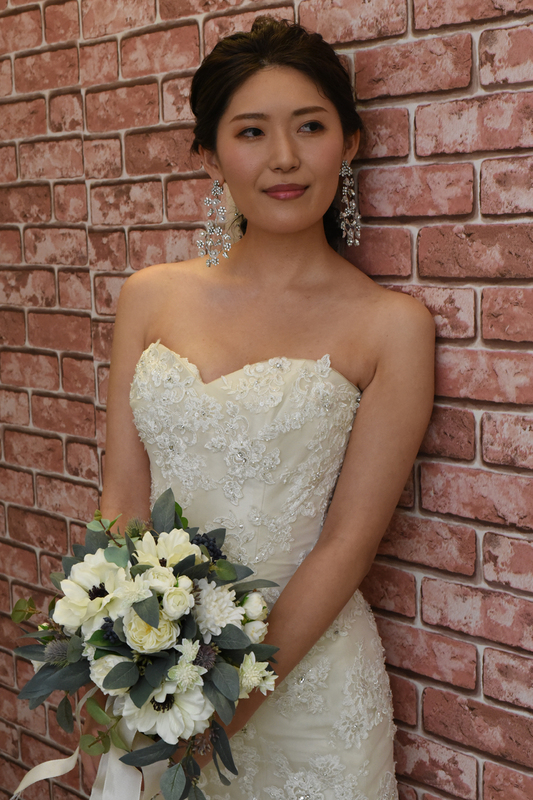 Waiting for your call. 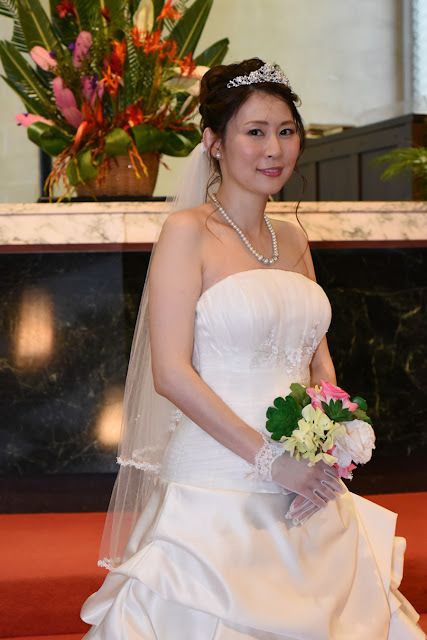 There's something very special about this Bride. 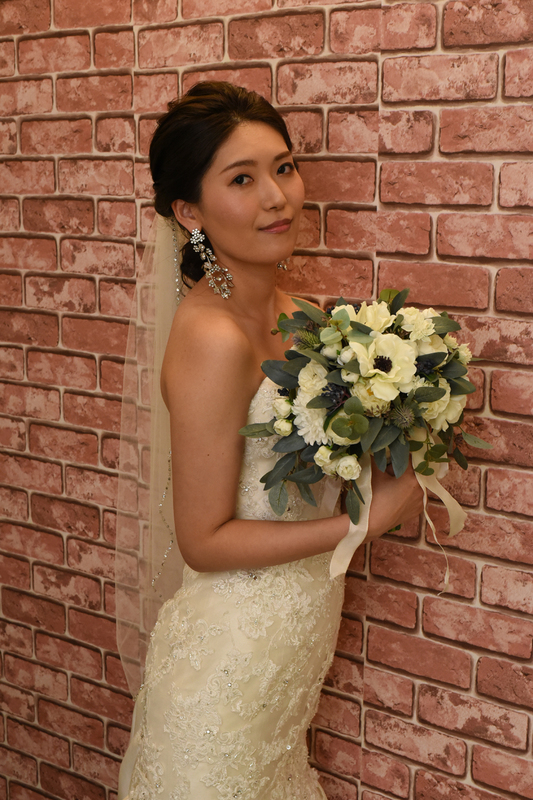 She looks so good, picture after picture. We had too many great photos to ignore, so we're sharing some with you at Hawaii Wedding Blog. Sometimes couples request to be put inside their wedding ring. 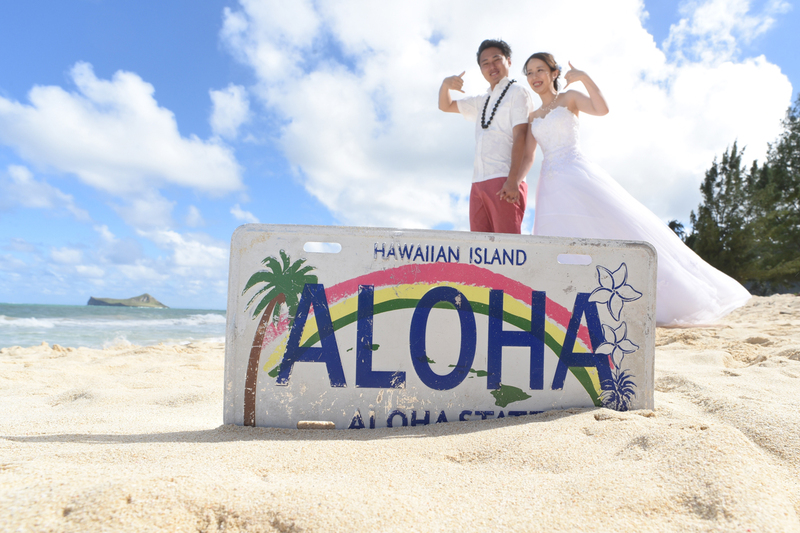 Have to use an extra large prop for this shot. 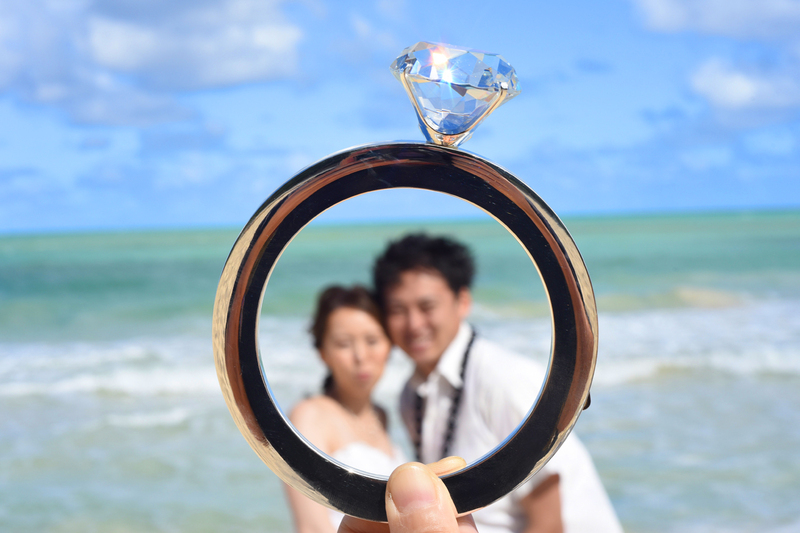 Wish the diamond were real! Personalize your photos with initials. 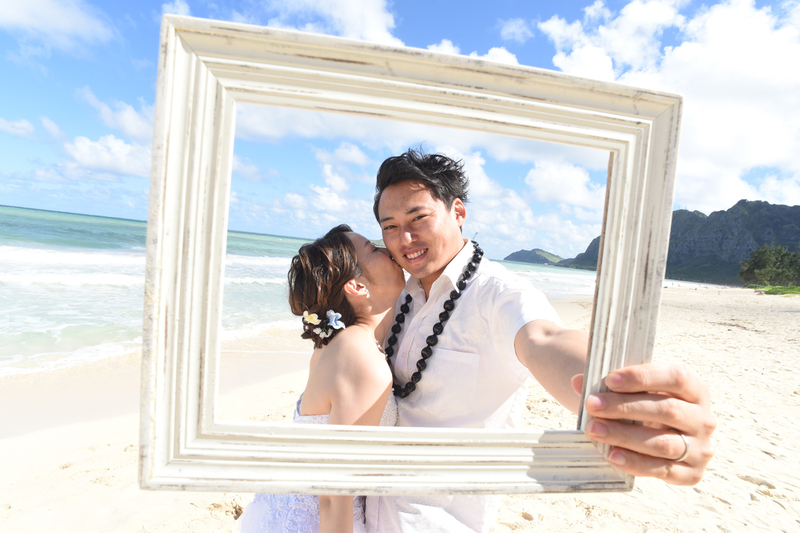 Photo frames are nice. 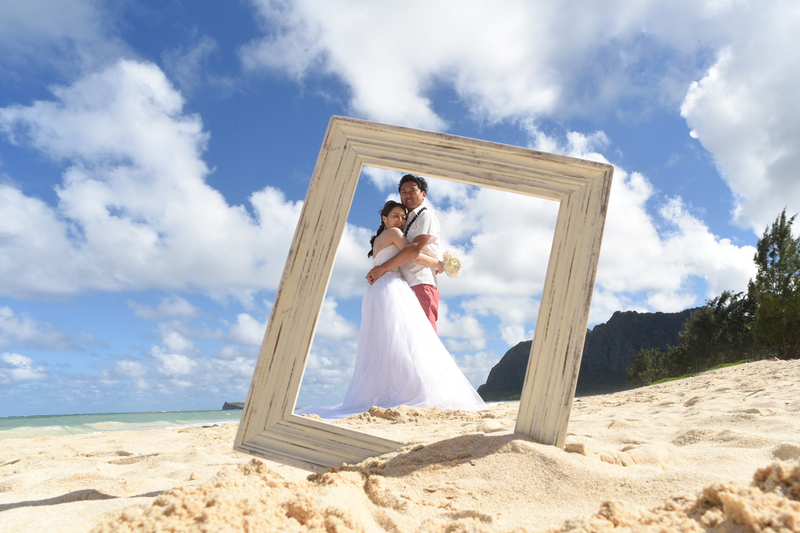 You can frame the photo before you print it. 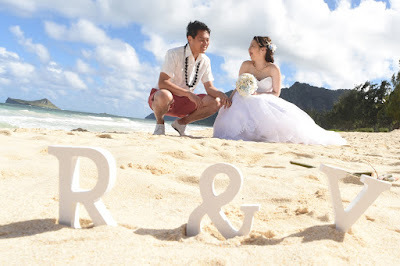 Creative wedding photography by Oahu Photographer Robert Hamilton. Announcing a not-actually-new KAILUA WEDDING VENUE, at least new to us. 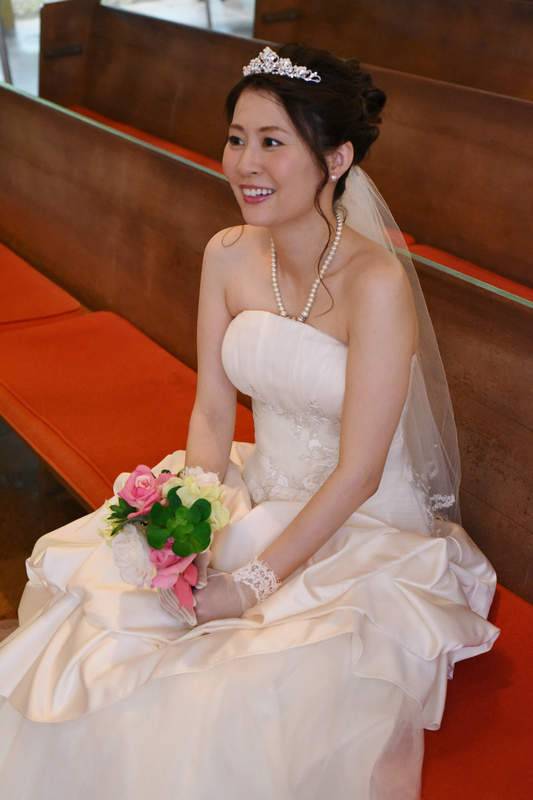 Plenty of pews at this church, and ample parking for large groups with 100+ wedding guests. 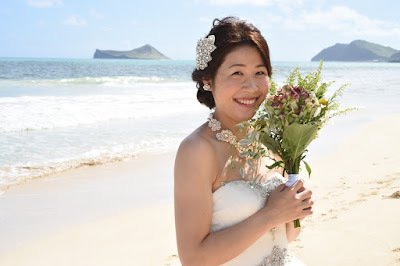 Photos taken at Waimanalo Bay, East Oahu. Favorite photo of the bunch. 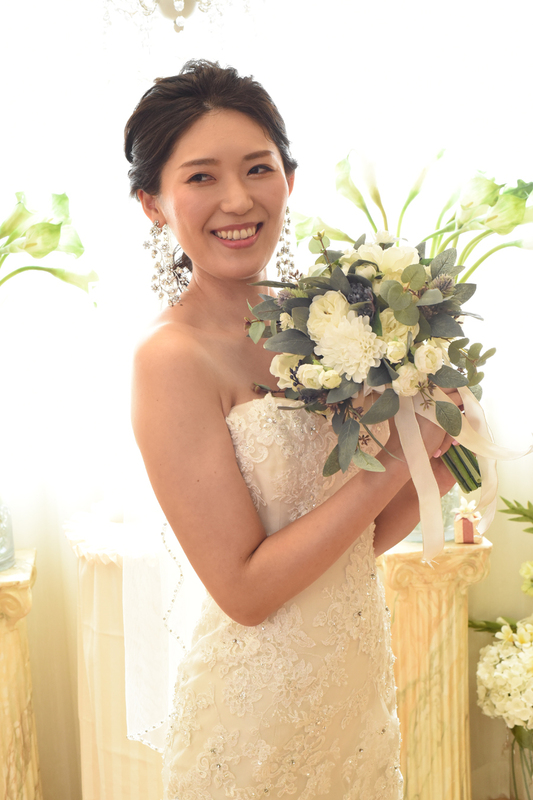 Nice smile! 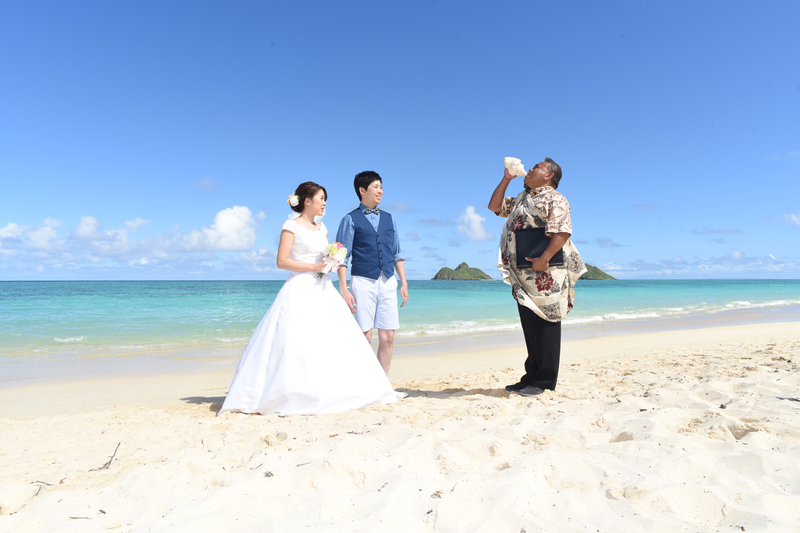 Rev Jofrey blowing the conch shell announcing the beginning of something very special. 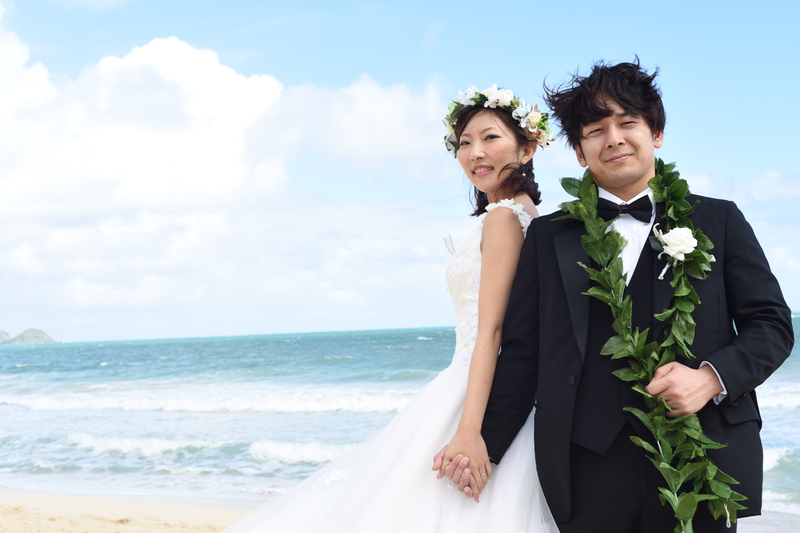 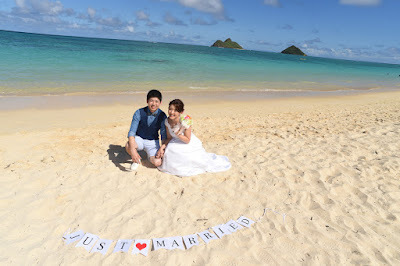 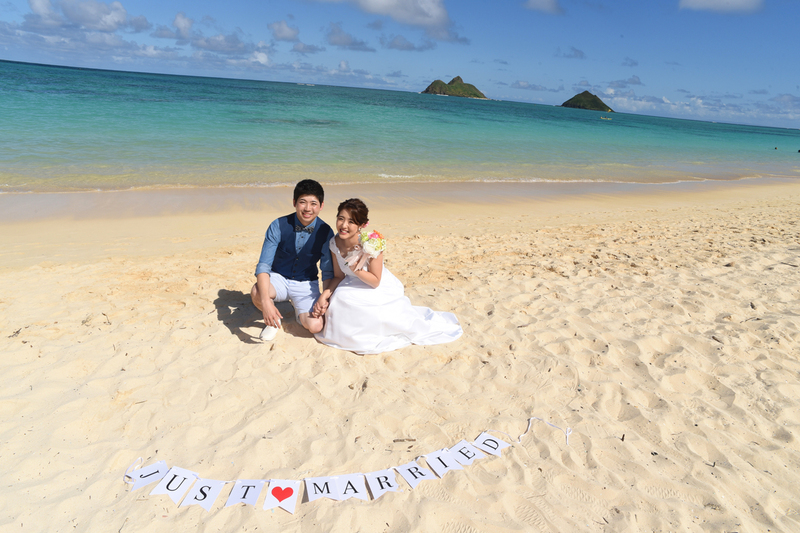 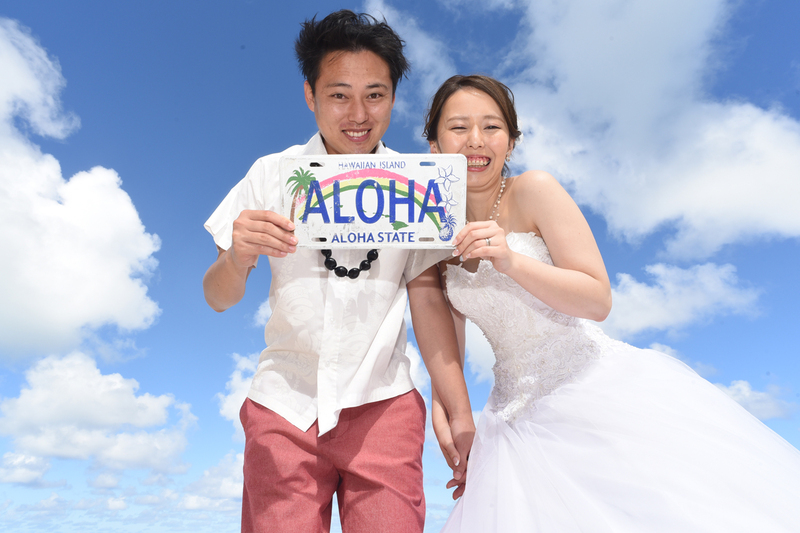 Renji and Yuka tie the knot at beautiful Lanikai Beach. Lanikai Beach has the best turquoise ocean color on Oahu. Keep in mind that the color in the photos depends upon the time of day and the weather. 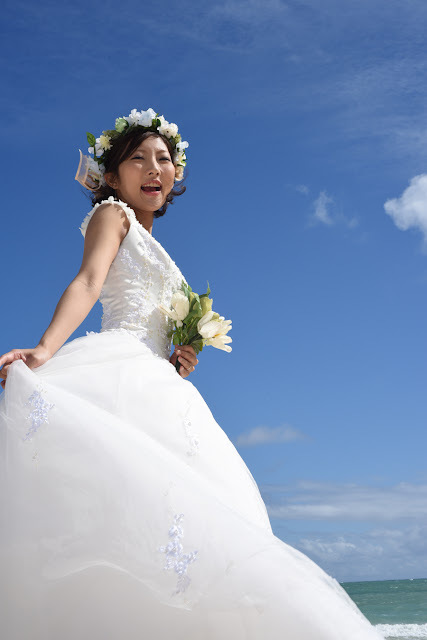 Recent heavy rains can also fill the ocean with red mud that takes time to dissipate.